Holy Trinity Church, Apperley is a Chapel of Ease to the main parish church at Deerhurst. It was built in 1856 by Henry Eustatius Strickland of Apperley Court, primarily to save the residents of Apperley from having to endure the walk to Deerhurst in bad winter weather. The architect was Henry's nephew Francis Cranmer Penrose who was at the time Surveyor of the Fabric of St. Paul's Cathedral in London (only the fifth surveyor after Sir Christopher Wren). Penrose carried out further work in 1896/7, at the age of 79, when the small tower above the porch and the apse were added. The church is open most days during daylight hours for quiet prayer and reflection. There is a fundraising "bring & buy" second hand book stall on permanent display in the church. Payment for books can be placed in the box in the porch. In July 2007 Holy Trinity Church became fully licensed for weddings. Previously anyone wishing to marry in the church had to otain a special licence. This pattern of sevices will vary at certain times of year, e.g. Christmas and Easter. For details see church noticeboards and the Severn-Sider parish magazine. The church fittings date mainly from 1897. The clock in the tower was given in memory of the men of the parish who gave their lives in service of their country and for the freedom of mankind, 1939-45.
now in the North Vestry. It was moved when the apse was built. Workshops for children of primary school age are organised on a regular basis, primarily at festivals such as Christmas, Easter and in the summer holidays. These take the form of craft activities, songs, cookery and games, all linked by a religious theme. The workshops generally take place in Apperley Church, but sometimes also at Deerhurst. "Little Pips" normally takes place at Apperley Church on the first Monday of the month between 2.30 and 3.00 pm. Please come along and join us at our informal get-together for children aged 0 - 4 and their parents/carers. There is a storytime * Arts & Crafts * Refreshments * Everyone welcome! The church enjoys close links with Deerhurst & Apperley C of E Primary School and children from the school visit the church for regular services during Lent. They also hold their annual Harvest Festival service in the church. erection of what is now the graveyard at Holy Trinity Church. Augustine Cecil Strickland of Apperley Green (1864-19258), second son of Algernon Strickland, was the first Strickland to be buried in the churchyard at Apperley. Before this, members of the strickland family had all been buried in the family grave at St. Mary's Church, Deerhurst. 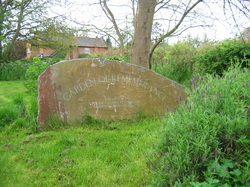 In April 2002 a new Garden of Remembrance was created on land to the south of the existing churchyard. 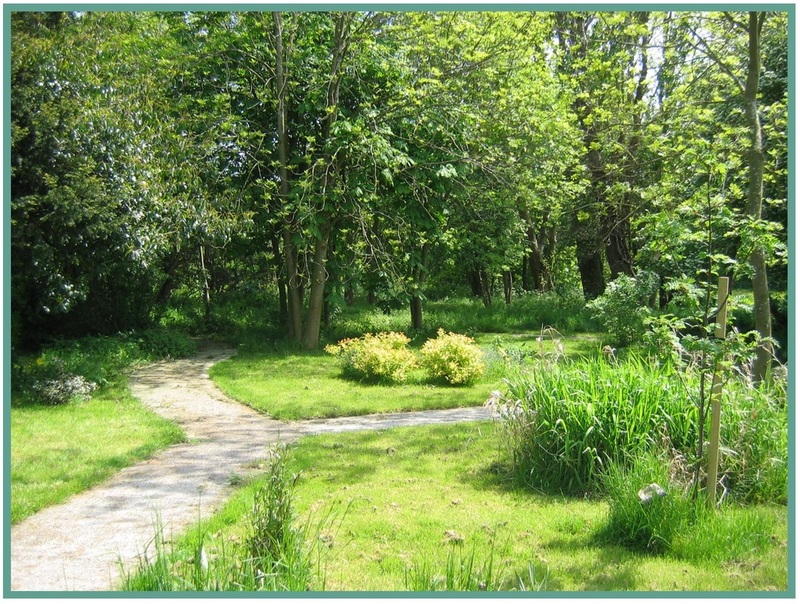 Many parishioners worked very hard to create this new garden, which was made possible by a generous bequest from the late Oonagh Haines, a former resident of Apperley. The Bishop of Tewkesbury, the Revd. 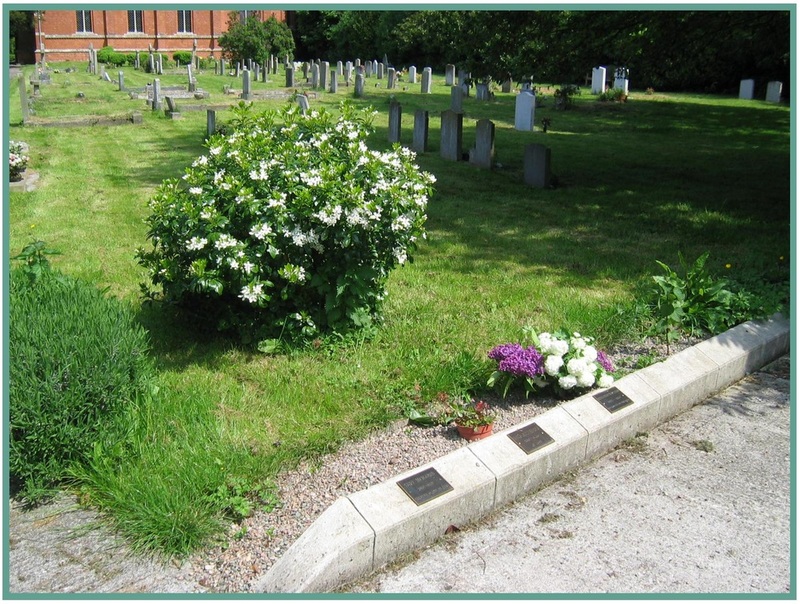 John Went, consecrated the new Garden of Remembrance together with the land to the east of the churchyard purchased by the parish.